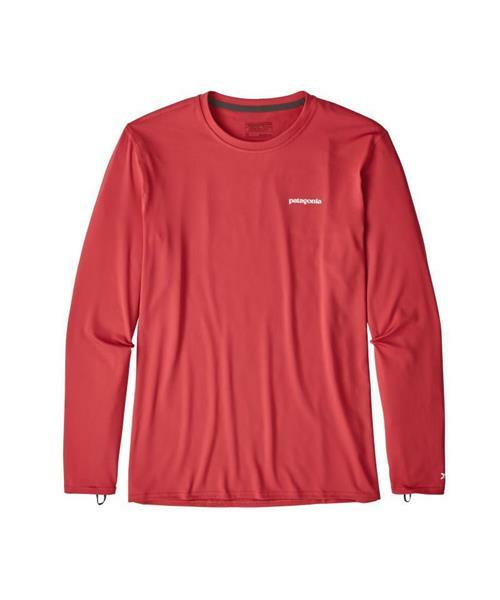 Cool and comfortable both in and out of the water, the new RØ™ Long-Sleeved Sun Tee protects you from rash and sunburn in hot and humid conditions. Made from a lightweight 94% polyester (35% recycled), 6% spandex jersey with 50+ UPF sun protection and Polygiene® permanent odor control, it has a loose-fit cut that allows for cooling airflow over your skin when the temperatures start to climb toward the triple digits. Featuring a classic crewneck design with set-in sleeves for travel comfort, it has a self-fabric neck that rests lightly on the skin and thumb loops to keep the sleeves secure while paddling. Fabric is bluesign® approved.